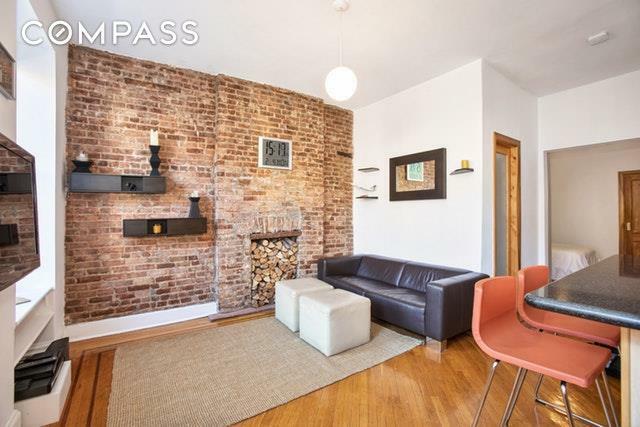 Filled with light and gorgeous updates, this lovely one-bedroom, one-bath home is an ideal haven in the heart of Park Slope. Three large east-facing windows cast gorgeous sunlight into this well-planned 500-square-foot abode creating a light and airy atmosphere all day long. The bright living room features a chic exposed brick wall and decorative fireplace, while the modern open kitchen is filled great cabinet space, stone counters and full-size stainless steel appliances, including a gas range, dishwasher and built-in microwave. Enjoy a comfortable perch at the large island/breakfast bar for casual dining or meal prep.The large king-sized bedroom is tucked at the quiet rear of the home and features three roomy closets, and the beautiful bathroom is covered in floor-to-ceiling stone with a modern vanity and frameless glass shower. Inlaid hardwood floors add an old-world vibe and through-the-wall air conditioning delivers year-round comfort in this fantastic Park Slope walk-up. 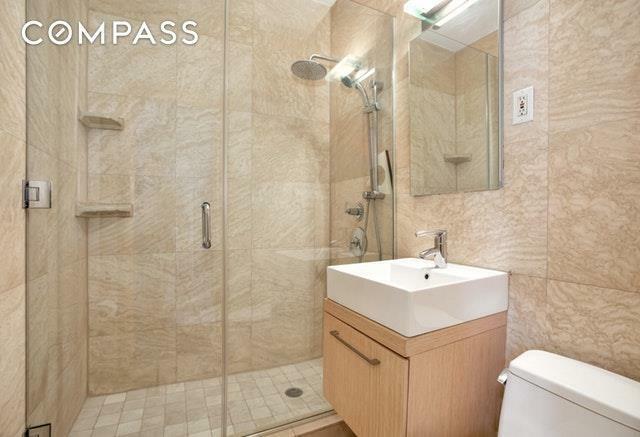 198 7th Avenue is a well-maintained, pet-friendly boutique co-op that permits in-unit washer-dryers with board approval. Located at the epicenter of desirable Center Slope, you'll enjoy immediate proximity great dining and nightlife along 7th and 5th avenues. 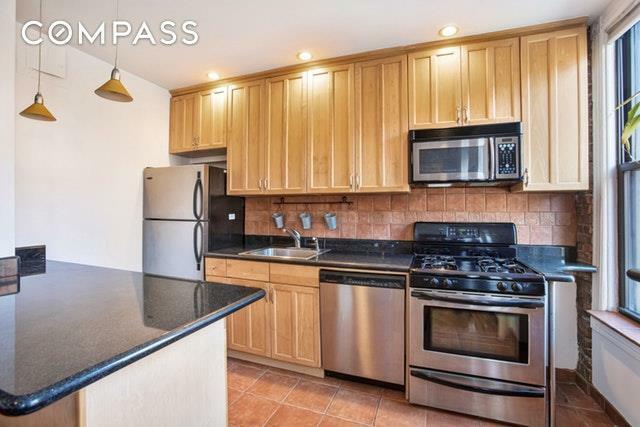 Two blocks east, massive Prospect Park offers 500 acres of lush outdoor space, trails, playgrounds, year-round greenmarkets, dog runs and fantastic events. Transportation is a breeze from this central location with F, G, R and 2/3 trains all within reach.